How fitting that for part four of my serial, Charlotte's War, illustrator David Young chose the scene with Charlotte and Denise doing the jitterbug at a dance. Why is that fitting? Well, because that's what I've been doing this weekend - not jitterbugging exactly but close, as my husband and I have just got back from our annual jive weekend at Warner, Hayling Island. Those of you who have followed my blog since it started in 2012 will know that we are very keen dancers - in fact I've been dancing modern jive for over twenty years now! When I was younger, it used to be classes twice a week and a dance every weekend but over the years salsa, and more recently ballroom and Latin, have taken over as our dances of choice and, apart from the occasional local local dance, we tend to only jive now at this event. This is probably why we enjoy the weekend so much as it is like getting to know an old friend again. If I show you the timetable, you'll see why I feel ready to sleep for a week. Anything circled or underlined is a class we did... and that's just the Saturday classes. Sunday was just as full and, on top of that, there were dances each evening until the small hours to practise what we'd learned. The only problem was that each time we did a new class, we'd forget what we'd done in the class before! The weekend wasn't all about jive, though. There was the opportunity to learn Social Foxtrot, West Coast Swing, Bollywood or Rumba if you wanted. Here's a picture of our lovely Milonga teachers, Andy and Samantha. Milonga is a bit like a fast tango and we've added some of their moves to our own repertoire. I have to say, it was quite nice to have a proper break from writing, social media etc and be able to do nothing but dance and eat... did I mention the food? I'd better not as you might be jealous. What I will say, is that I'm not sure the dancing burnt off all the calories from the evening carvery! Two, three rest... two, three rest... that's the rhythm of the Rumba class we took and in some ways it reminds me of my writing. I need those rest phases to get the energy back for the next spell of writing. It's also a bit like my publications. Last week, as well as my serial, I was lucky to have two stories in the People's Friend Special. It often happens that way and then there'll be a break. Here's the one I wrote called The Midnight Sun, which is set in Antarctica. I hope you all have a good week. I'd planned to do some writing... but I think I'm off for a sleep! Today's guest needs little introduction, not least because this is her third visit to my blog - welcome back Sam! Most of you will know Sam originally through her magazine stories and, more recently, through her successful career as a novelist. 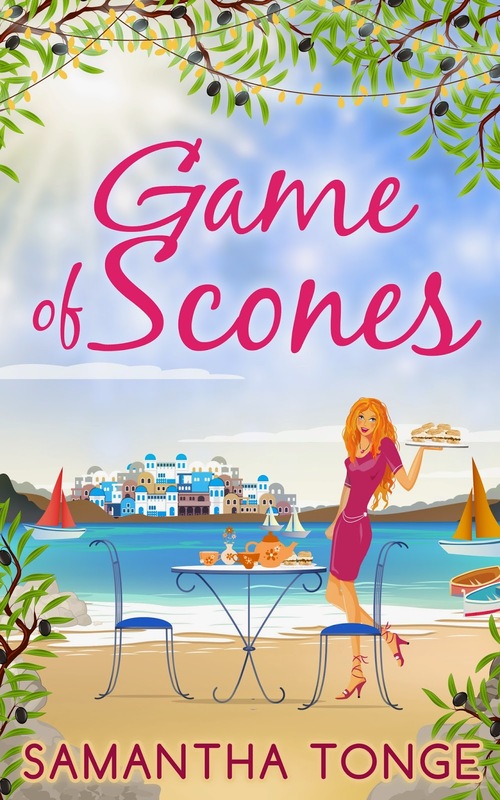 Sam's latest novel, Game of Scones, is being published tomorrow and as her digital publisher CarinaUK is well known for their fast turnaround, I asked Sam if she could talk a little about this. The turnaround with a digital-first imprint, like CarinaUK, is very fast, and I’ve always wondered how some writers are able to produce several books a year. It surprises me that I am now at a point where I can write two in twelve months, with a little time to spare. I’m an author full-time which, of course, makes a huge difference. However, I’ve particularly noticed, whilst typing the last two books, that improvements in my writing have speeded up the process. Before my debut Doubting Abbey was published I had, um, several rejected novels under the bed! I learned a lot from writing them but they still took six months to one year each to finish. However, by now I’ve had four novels pushed through the Harlequin revisions process, and I have to say that’s made all the difference. My writing hasn’t become quicker, but I think what I’m now producing is less first-draftish and therefore doesn’t – touch wood – need quite so much work afterwards. I’ve noticed that my prose is much tighter and I’ve also managed to work on my two main weak areas, thanks to four books’ worth of perceptive comments from my editor. Firstly, I never put in enough emotion, so I focus on this from the start. Also, I’ve struggled over the years with making certain characters likeable, so again, I check constantly, as I go, that no one is whingeing too much, or being spineless, selfish... not if they are a character I want readers to warm to. It’s a bit like writing short stories... One year I sold around fifty to The People’s Friend. After a while I had a good sense of what the editor – and therefore reader – was looking for, so it meant that the first version of these stories wasn’t as rough as they were when I first started subbing shorts. My writing hadn’t got quicker, my understanding of what the genre required was just better, from the start. Before getting published I would get editorial reports done on my books from organisations such as Cornerstones. I saw the cost as an investment into my career. I learned a great deal from this, as the reports are tailored to your own needs. I would ask for information on where I was going wrong with a particular book, plus my writing in general. I’m not sure I’ll ever be in the league of some Mills & Boon writers, who produce five or so quality books a year, but if I can keep at two, I’ll be more than happy. This would never have happened when I first started out, as my first book reached 90,000 words and only had four chapters! Now I also keep a firm control of my wordcount! Samantha lives in Cheshire with her lovely family and two cats who think they are dogs. Along with writing, her days are spent cycling, willing cakes to rise and avoiding housework. A love of fiction developed as a child, when she was known for reading Enid Blyton books in the bath. A desire to write bubbled away in the background whilst she pursued other careers, including a fun stint working at Disneyland Paris. Formally trained as a linguist, Samantha now likes nothing more than holing herself up in the spare room, in front of the keyboard. 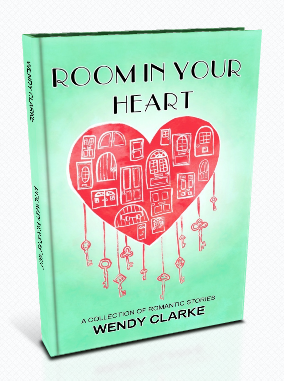 Writing romantic comedy novels and short stories is her passion. Samantha has sold over 80 short stories to mainstream women's magazines. 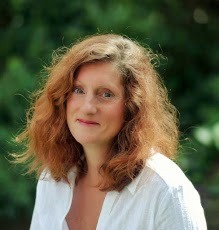 Her debut romantic comedy novel from CarinaUK Harlequin, bestselling "Doubting Abbey", was shortlisted for the Festival of Romantic Fiction best Ebook award, 2014. Its fun sequel is From Paris With Love. Mistletoe Mansion is a fun standalone Christmas novel. Thank you very much for visiting today, Sam, and good luck with the new book! What do Writers Have for their Birthday? Today is my birthday. Happy Birthday to Me! Do you like the card one of my friends bought me? I love the fact that the girl has a W on her jumper. Interestingly, this has been the year of the writerly birthday present. First, and best of all, I got this. You probably can't tell from the photograph, but it is the diddiest computer I have ever seen. It fits in a shoulder bag and is going to be brilliant when my neighbour starts her planned building works and I can't concentrate in the house. My diddy computer and I will find a nice park bench or a cosy café to have our J K Rowling moment. I also got this cushion, which I am using at this very moment. I'm hoping it will give me lots of inspiration... at the very least it should stop me from getting back ache. The final present for an aspiring writer, I have to blame Kath McGurl for. She had posted a picture of herself on Facebook using mini steppers just like these and I thought they would be just the thing to combat writers bottom. I don't know if they'll work, and I haven't tried them yet, but sometime we'll have to have a race on them, Kath! I had a lovely day. I spent the morning with friends celebrating both my birthday, and a good week for magazine sales, over coffee and then went to Borde Hill Gardens to see the beautiful camellia and magnolia displays in the afternoon. This is my mum admiring one of the blooms. The walk nearly didn't happen as she forgot how to use the satnav - but all's well that ends well and we had a lovely time. It is with great pleasure that I welcome Patsy Collins onto my blog. 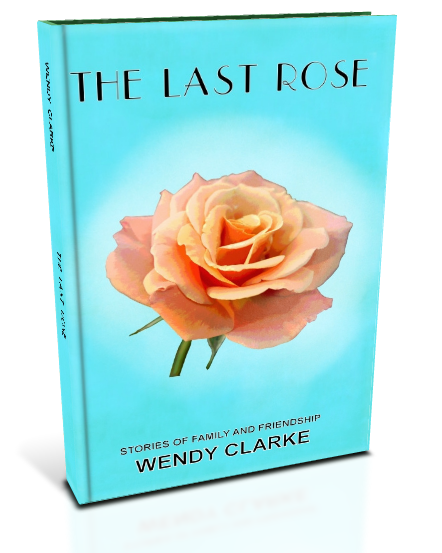 When I started Wendy's Writing Now, in the summer of 2012, Patsy was one of the first people to welcome me to blogland and has supported my blog ever since. Isn't that lovely. Patsy needs little introduction as many of you will have come across her in the pages of the women's magazines or on her successful blog, Words About Writing and Writing About Words. Last month she took over the bible of the woman's magazine writer's world, Womag Writer's blog, so I am sure we shall be seeing even more of her! 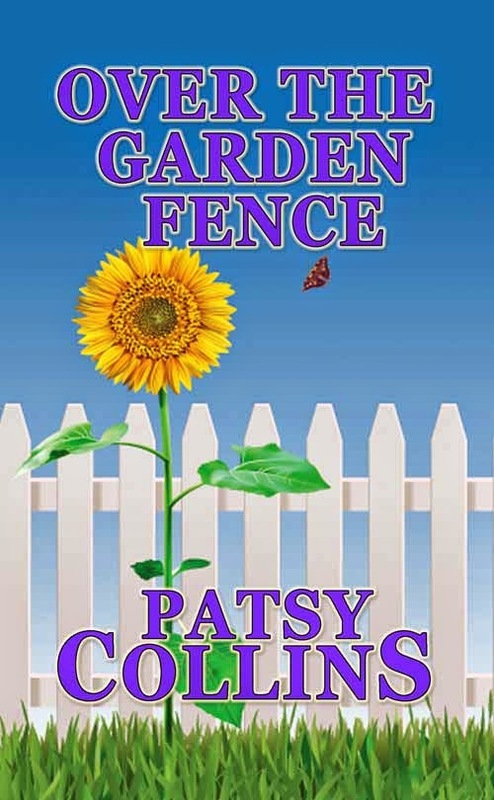 Today though, Patsy is here to talk about the publication of her new collection of short stories, Over the Garden Fence. So without more ado, we shall begin. Can you give me three words to describe your new collection? I see that both Over the Garden Fence and your previous collection Up the Garden Path are garden themed. Could you tell my readers what it is with you and gardening? I'm a very keen gardener; I have an allotment where I grow loads of herbs, fruit and veg and a flower garden at home which is designed to attract wildlife. When you're passionate about something it tends to work its way into the writing (you may have noticed a lot of my characters eat cake). Also the allotment is a good place to think up stories. I'm not sure if it's to do with the fresh air and exercise, or the fact that I generally have my hands full and never have pen and paper with me when I'm down there. Have you based any of your stories on real gardens? I had to think about that one. They all seem real to me but I generally design a new garden for each story, just borrowing features from ones I remember. 'Teacher's Pet' and 'Everything is Fine' which are both in this collection are set in real gardens though - the fabulous rose garden at Mottisfont Abbey (Hampshire) and Greys Court (Oxfordshire) respectively. You have recently taken over the popular Womag Writer’s blog and most of the stories in Over the Garden Fence have previously been published in women’s magazines. How long have you been writing for the womags? My first sale was in 2005 - a story called 'The Garden' which is in 'Up the Garden Path'. I'd collected quite a few rejection letters by then though. All my rejections are shredded and added to the compost heap, so they eventually become pretty flowers and juicy strawberries. Sales were widely spaced to start with, but each yearly total has been an increase on the previous one which is very encouraging. Competitions are mentioned a lot on your blog ‘Words about Writing and Writing about Words’. Do you enter a lot of competitions yourself and have any the stories in the collection been winners? I do enter quite a lot of competitions, usually free ones which naturally attract a lot of entries (almost all the competitions I blog about are free to enter). 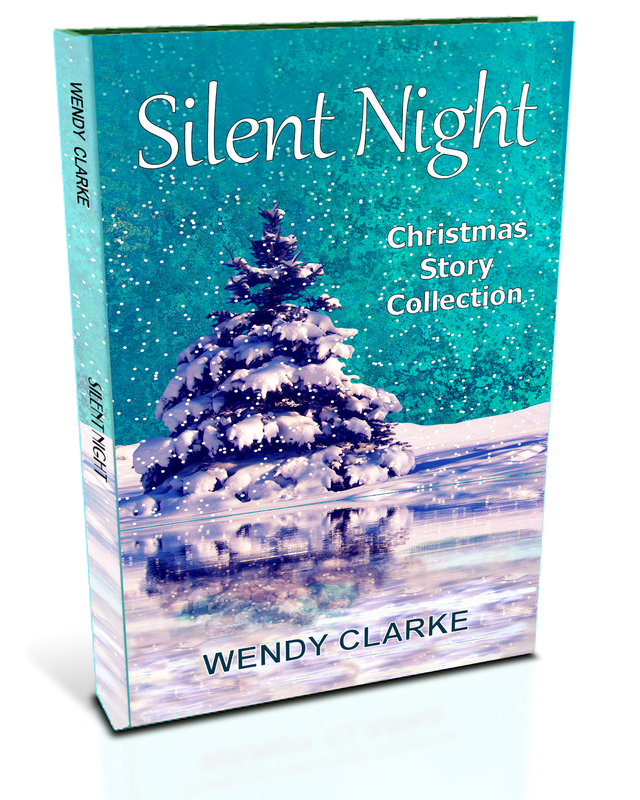 A couple of the stories in this collection have been placed in competitions and my first novel was published after a competition win. The winning story in the current Writing Magazine is mine and one of the characters is a gardener. That'll be in the next collection. Do you have a favourite story from your collection? I think it's Black and White. For one thing it breaks a few womag 'rules' - I killed the main character in quite a nasty way and was mean to a cat (twice) yet still got it published in Woman's Weekly. It also uses the idea that what you do in life influences how happy you are, which is a bit of a sub theme in a lot of my stories. The garden it's set in is lovely too. I had fun creating that one and baking and eating all the cakes the character makes. When it comes to cakes, my research is thorough. Having just brought out my own story collection, I can see we have different writing styles – what would you say your signature style is, if you have one? I agree that our writing is different. I'm not sure I have a recognisable style, if I do it isn't something I do consciously. Generally my stories are uplifting and usually they're about fairly normal characters and situations; the kind of people the reader might know in real life, doing things they might do themselves in places they might visit. You’ve published the collection in both ebook and paperback. What did you find trickiest about each? The formatting! It's not really that difficult if you haven't already done something weird to the document, you take your time and carefully follow all the instructions, but ... Luckily friends and fellow writers came to the rescue after seeing anguished tweets and blog posts. I'm always amazed at people's generosity with their time and knowledge, in some cases being of huge help to a person they've never met and/or assisting those who're competing in the same market. Your novel, Escape to the Country, which I enjoyed very much by the way, has a farm as its setting. Is it possible that gardens or gardening could feature in a future novel? Yes! Gardeners or florists have a role in them all so far, but gardening hasn't been the main focus (and it's not something I've done deliberately). I'd like to have a gardener as a main character though. A sequel to Escape to the Country with Jayne as the main character is a tempting idea. Those herbal potions of hers have potential, I think. What would Patsy Collins like to be doing in five years time? Spending all my time writing, gardening, travelling in our campervan ... oh, did you mean something different from now? I've done a few talks/workshops for writing groups and will be giving a talk to a reading group in the summer. I'd like to do a bit more of that kind of thing. Thank you so much for joining me on my blog today, Patsy. Patsy Collins lives and writes on the south coast of England. She's the author of hundreds of published short stories and three novels. When she's not writing she likes gardening, photography and cake eating. She shares her home with her husband and head with her characters. Today is a very exciting day for me as instalment one of my serial, Charlotte's War, has just been published in The People's Friend magazine. 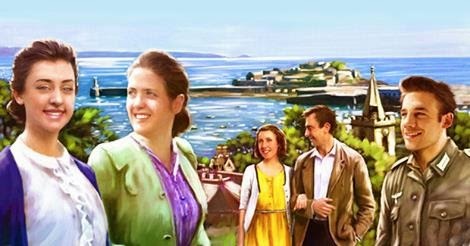 It is a romance set on Guernsey during the German occupation of World War 2 and David Young has been illustrating it for me. 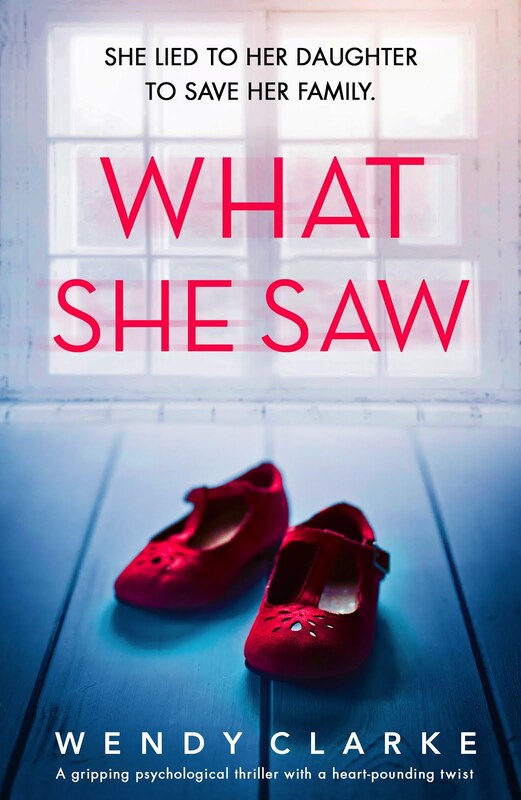 After I trotted off to the newsagents this morning to buy myself a copy, the rush I got from seeing it was the same as when I saw my first short story in print. I couldn't wait to get it home to read - not because I love my own writing but because I wrote it over a year ago and I couldn't actually remember what happened! When I looked back on my computer, I found that I started writing the first instalment in July 2013! As you can see, from writing the first words to seeing the serial in print is not a speedy process! You can read my blog post written on the day I had my serial accepted here. The People's Friend are running an advert this week on Classic FM (South and Midlands) and they are using an excerpt from Charlotte's War - with sound effects! 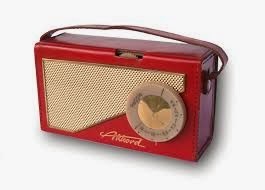 I spent a morning listening to classical music (not something I would normally do!) and wondered why the advert hadn't appeared (I'd been sent a schedule so knew roughly the times). It wasn't until I heard on the traffic news about road works in Yorkshire, that I realised my computer was tuned into the wrong region! Luckily for me, the magazine put a link on their website and anyone interested can listen to it here. It's strange but thrilling to hear even that tiny part read - shame my name wasn't mentioned though. 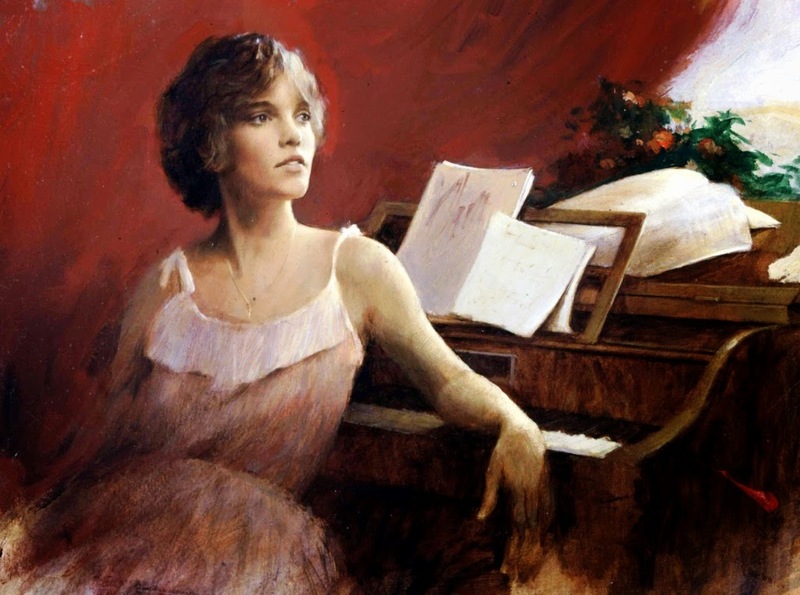 I have a story, Rhythm of Life, in the same magazine set in the 1920s jazz age. It was one I wrote to accompany this lovely illustration by Len Thurston. I find that magazine publications are a lot like buses - they often come at once (not that I'm complaining). I also have a story, Home Grown Wisdom, in the People's Friend special - also out today. The illustration is by Ruth Blair and the inspiration behind this story was my lovely father-in-law who has spent most of his life in his vegetable garden! Before I go, The People's Friend are looking for new serial writers. If you want any tips on writing longer pieces for this magazine, an article I have written on the subject, with pearls of wisdom from fiction editor Shirley Blair, should be in Writing Magazine soon.